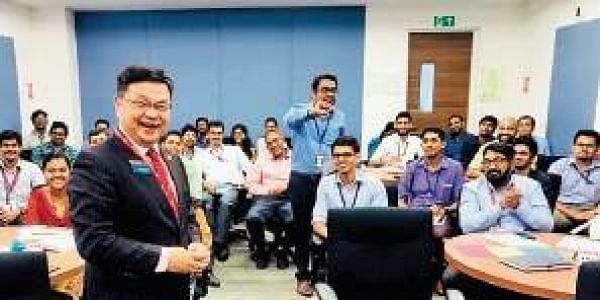 Derek Wong, International Director of Toastmasters International, on a recent visit to Kochi talks about the qualities of Indians as speakers and as a people. KOCHI: Derek Wong arrived at midnight in Kochi from Hongkong following a 15-hour flight. He was feeling jet-lagged. At the hotel, he was given an entry card and Derek went to the room and slept. Derek had come to Kochi recently to attend the District 92 Toastmasters Annual Conference. As an International Director, he oversees the activities of India, China, Japan, South Korea, and Taiwan. And he was very impressed when he attended a meeting of one of the clubs at Kochi. After attending regular meetings in India over the past few years, Derek has observed that leaders in India have a confident way to handle conflicts. “People want to express their opinions, not only in India but all over the world,” he says.